The 2020 Keystone Premier 26RBPR offers an incredible Travel Trailer experience! The RV experts at RV World MI help you find your dream RV for a stunningly low price! 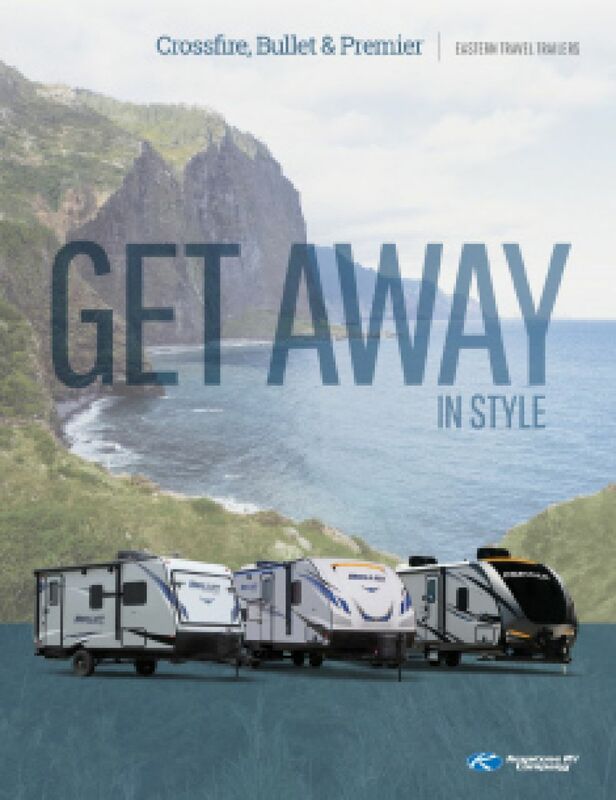 Come on down to 7834 S Division Grand Rapids Michigan 49548 and you'll soon find out why we're one of the top RV dealers in Michigan! Call us 616-591-3632 for more information on this model! The exterior of this camper is dashing, and it features an easy-to-open 20' 0" awning! This RV has a manageable hitch weight of 755 lbs, ship weight of 6178 lbs, and GVWR of lbs. 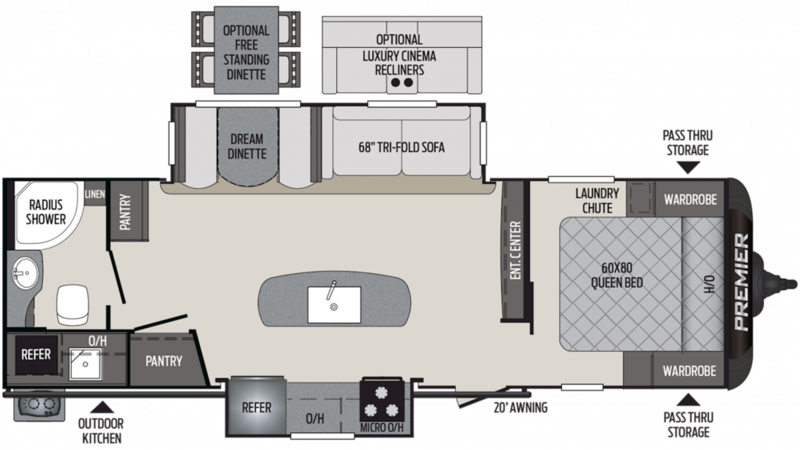 This RV has ample room inside, with a length of 32' 0" and a width of 8' 0". You won't bump your head in this 11' 0" high RV, which also has 2 slides! You'll stay warm inside with the 30000 BTU furnace, or keep the living area nice and cool with the 13500 BTU a/c! When the sun goes down on your fun-filled camping days, you'll experience a great night's sleep in the full bedroom of the Premier 26RBPR! It's handsomely furnished, and the regal Queen bed is roomy and comfy, so you'll ease off to dreamland in no time! It's not the only place for your family to sleep well, as there are enough sleeping accommodations for up to 6 people! You can cook up terrific family meals on the road, thanks to the superb, fully appointed kitchen! How about bacon, eggs, and flapjacks for breakfast? You'll whip them up easily on the 3 burner range cooktop, and keep everything fresh and ready in the 8.00 cu. ft. refrigerator! Every meal's a snap! You'll have enough refreshing, clean water for your family's needs with the massive 43 gallon freshwater tank! You'll love the convenience of a Porcelain Foot Flush toilet and a shower wherever you go! With 40 lbs. of LP tanks capacity, you won't run out of hot water anytime soon! This RV has a 60 gallon gray water tank and a 30 gallon black water tank. Grab a nice, cold drink without even leaving the fun of the campfire, thanks to the outdoor kitchen!